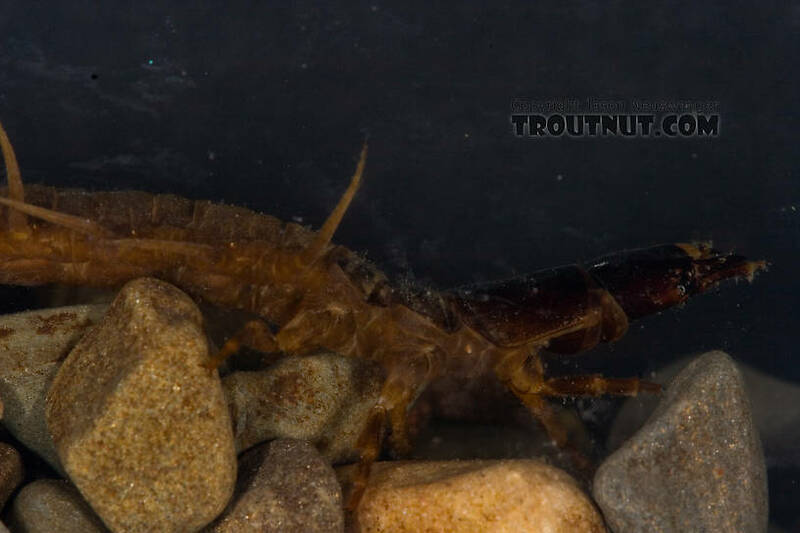 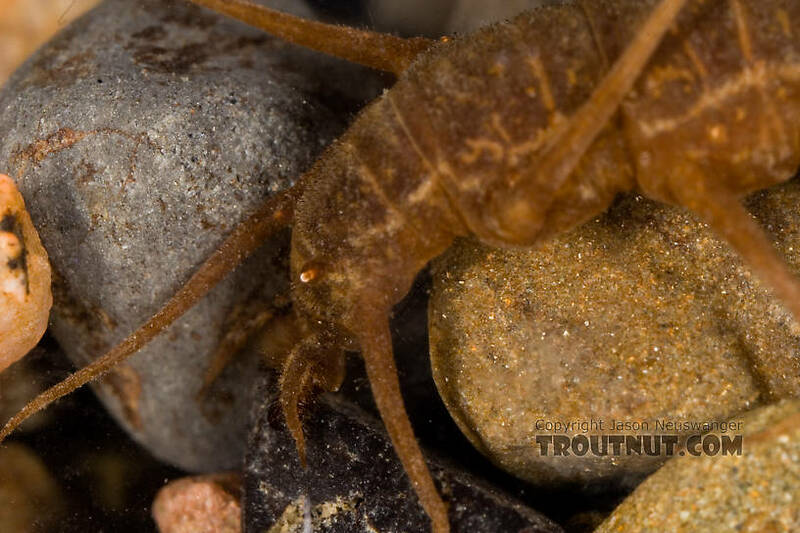 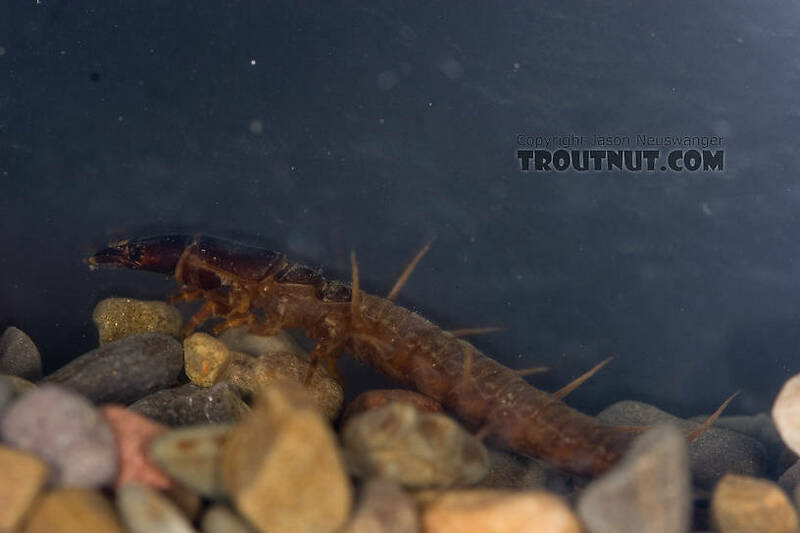 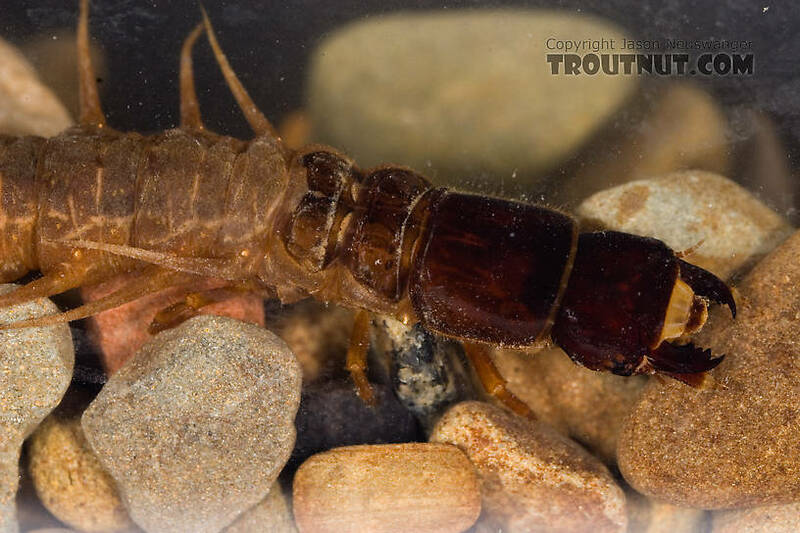 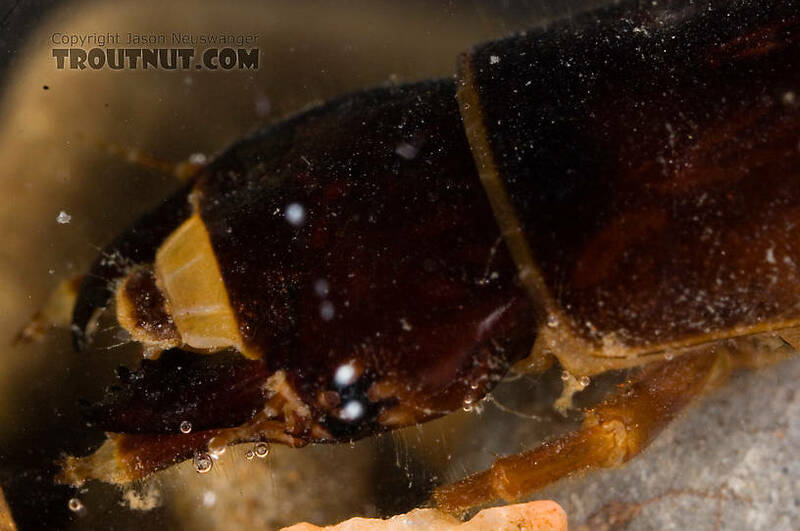 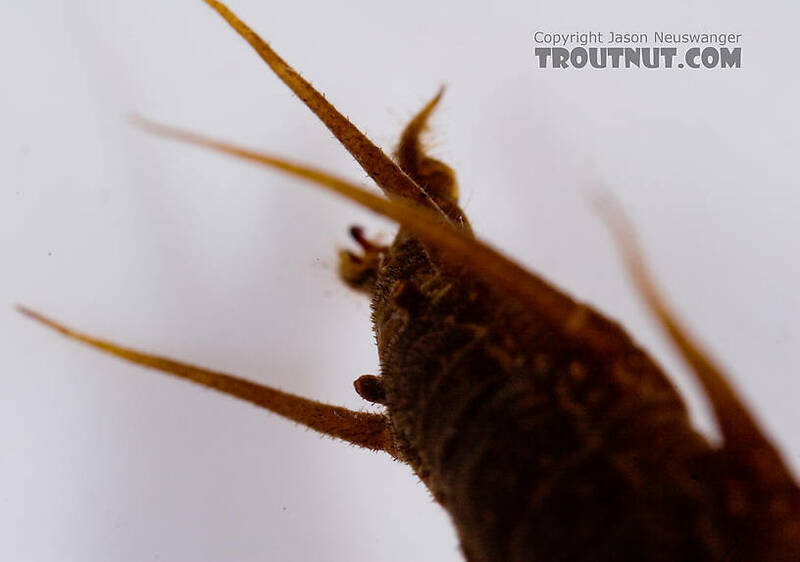 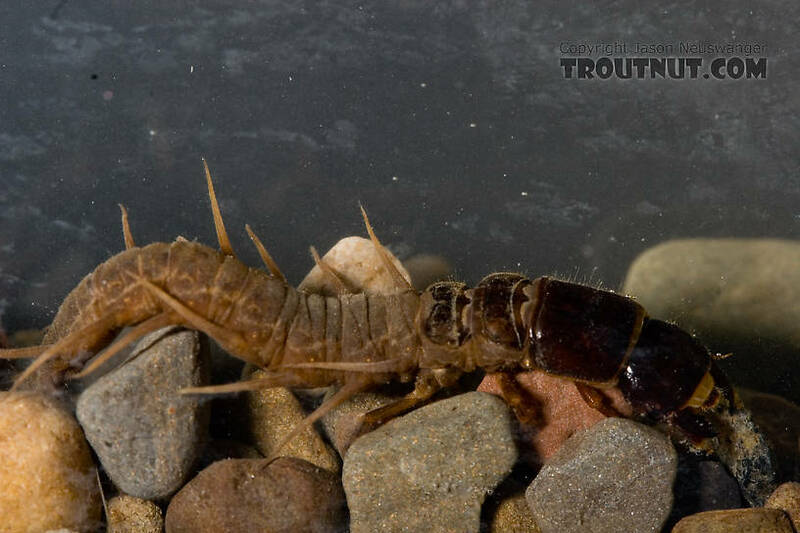 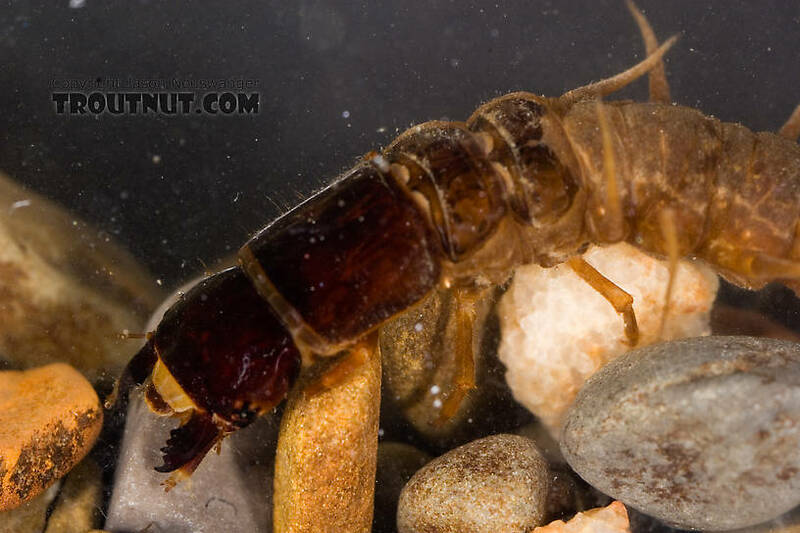 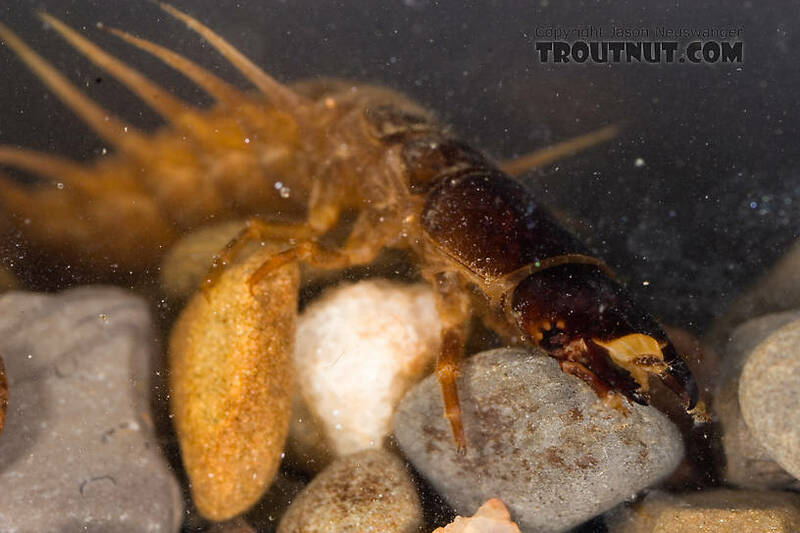 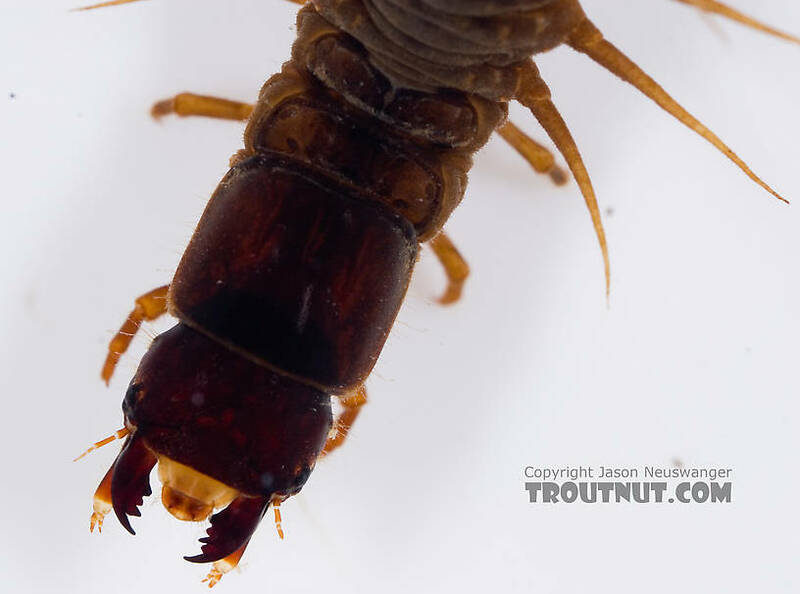 This hellgrammite was collected from Factory Brook on April 24th, 2007 and added to Troutnut.com on April 24th, 2007. 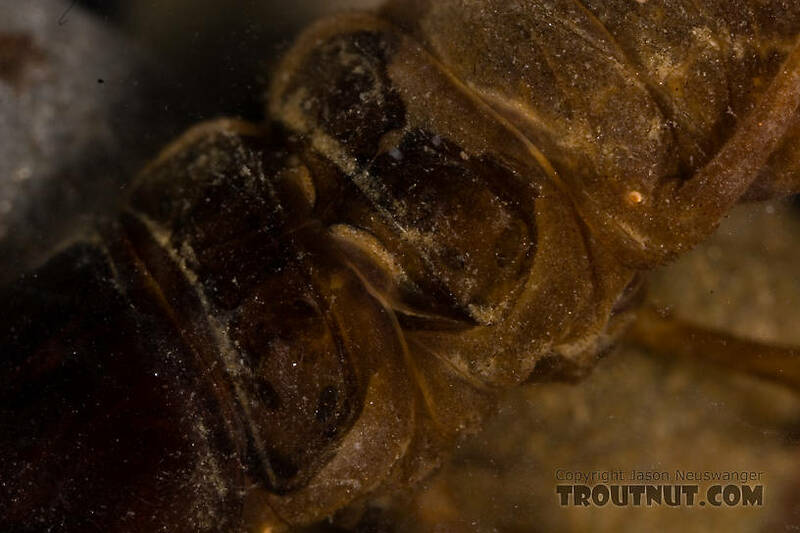 The rear appendages on these larvae are quite good at gripping the rocks as they're doing here. 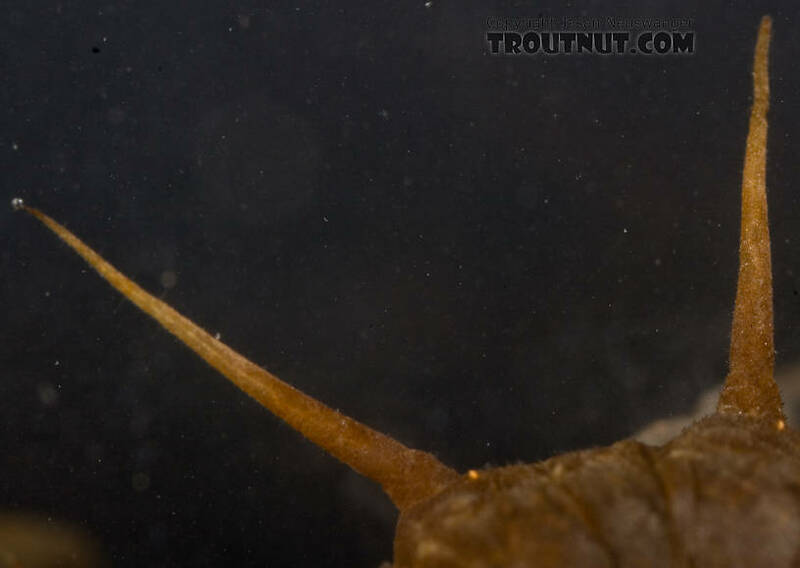 Closeup of a couple of the gills. 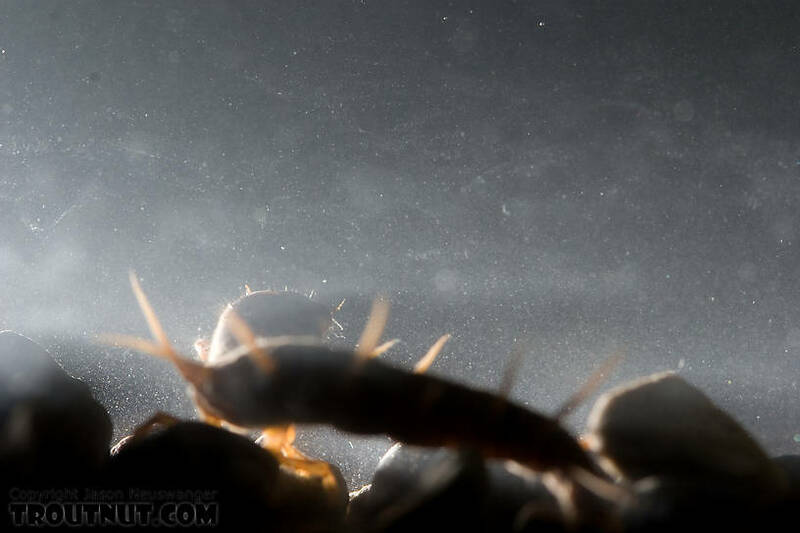 A little experiment with backlighting.